Bring a relaxed decadence to your decor with this set of handcrafted bowls. 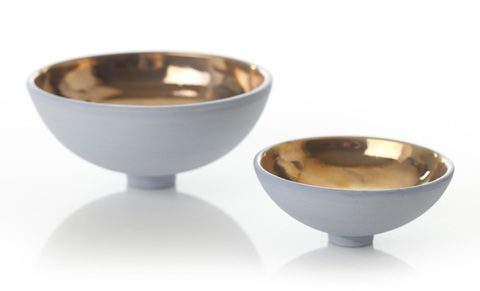 Whisper-soft blue glaze complements the organic texture of the bowls' exteriors, which are enhanced by the bold shine of the interiors' 24-carat gold lustre. An artful centerpiece.